During the course of these 5 chapters. We saw that a man named Huck Finn had no parents. So he felt quite lonely during his time living with what he called “widow”. He felt so lonely he joined up with a ludicrous Tom Sawyer. Sawyer started to see things and try to act like they were robbers, and rob/kill people. It sounded interesting for Huck at first, but then he realized the ridiculousness and was out. He then sold all his money to the court for one dollar knowing that his father would come back and try to take that money to buy more liquor. Soon enough he did. The abusive and alcoholic father is back and now Huck needs to find out what to do with him. I think that so far nothing major has happened. It is basic interests of a young boys because they always want to go on adventures, and feel like they have power. They have an incredible imagination as well. I wonder why all the kids were so fast to trust Tom? Was Tom better than them? Was he the one that most people look up to in the story? It is tough to figure that out as of now but I will be thinking about that for sure. It was interesting the Huck knew his father would be alive. Almost like he was able to feel it and sense it. Now Huck’s father is back and I think it is going to be interesting to see what he does about it, and how/if he will be able to get rid of him. It is clear to us Huck is not a big fan of his dad. 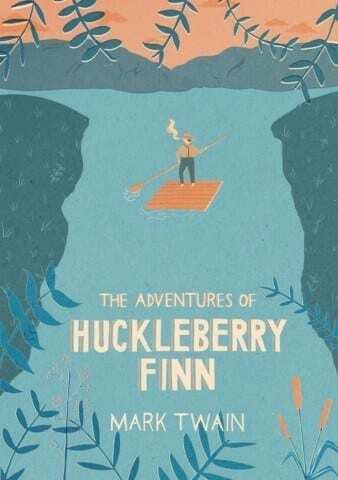 Huckleberry Finn Dialectic Journal by Dinakar is licensed under a Creative Commons Attribution-ShareAlike 4.0 International License. Dinakar, I also have been wondering why the kids were so fast to trust Tom Sawyer, but I think it’s because he and Huck found the treasure in a cave in the book “The Adventures of Tom Sawyer,” which showed leadership and courage to the boys. I think the boys simply wanted to have fun adventures led by a person who has experienced and succeeded in finding an enormous treasure during an adventure.